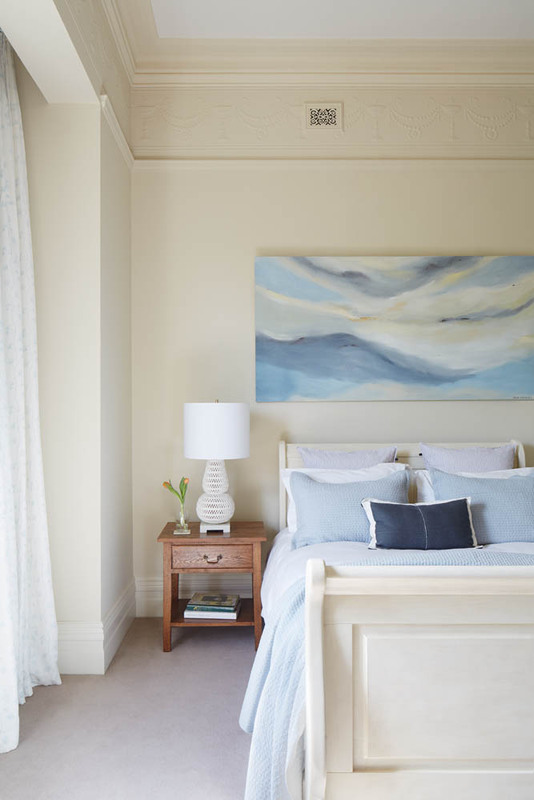 The master bedroom was another room in this stunning Hawthorn house requiring a fresh coat of paint over the colonial shades of deep maroon, which were previously its feature. The bed, the clients own which was kept at their request, was originally a timber stain which had taken on an orange tint due to light exposure so I had it hand painted in order to soften it. 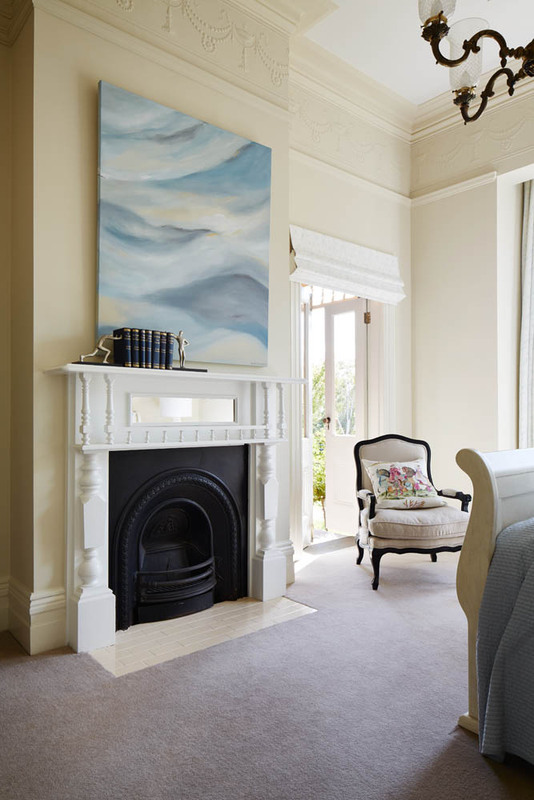 With the introduction of Allegra Hicks fabric for the curtains, Chloe Planinsek art above the bed and the fireplace, and new bedsides and lamps, the room now exudes an atmosphere of calmness and elegance which is perfect for my clients to wind down in after their busy days.